Can you envision a major plumbing system replacement that only takes a maximum of 24 hours to complete with no digging and no need to replace the finishes in your building? Here at Nu Flow, we offer faster water flow restoration with our trenchless plumbing pipe restoration services. Plumbing pipe restoration seeks to restore your pipes rather than replace them, which can get your water flowing faster than a traditional pipe replacement. This is because traditional pipe replacement involves exposing the pipes prior to replacing them, which can include removing finishes and drywall or digging trenches through your landscaped property. This can add hours to the plumbing job, and once the plumbers are finished, you have to find another contractor to repair your landscaping or building finishes. A trenchless plumbing pipe restoration doesn’t involve hours of digging or cutting out sections of drywall. Instead, it involves inspecting your pipes, identifying the pipes to be restored and inserting a CIPP pipe liner or epoxy coating to seal leaks and restore the plumbing system. Once the pipe liner has cured, which usually takes less than 24 hours, water service is restored to the sections of repaired pipes. 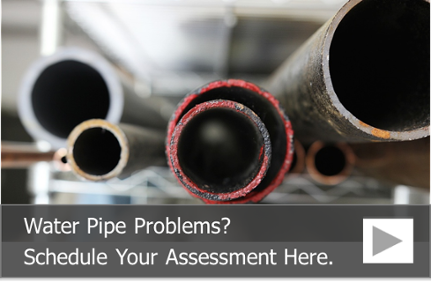 The pipe liner restoration and curing process always start with an inspection of your plumbing system. Here at Nu Flow, we perform our camera inspections with a pan and tilt camera. This camera allows us to see the entire internal diameter of your plumbing pipes in order to positively identify plumbing pipe problems. It also lets us know if your plumbing pipes would be good candidates for our plumbing pipe restoration process. On the day of your pipe liner installation, our professional plumber performs any needed repairs on the seams and joints of your plumbing pipes, and we temporarily remove any valves and replace them with couplings or pipe unions. Once all the needed repairs and preparations are made, we drain all the water from the pipes to be restored, and we perform an air pressure test to determine if you have any leaks in your plumbing system. Next, we dry your pipes thoroughly with heated air. Once the pipes are dry, we completely clean them to remove all the debris and corrosion, which restores the internal diameter of your Chicago plumbing pipes. We used compressed air to remove any residual debris and the abrasive cleaning material and any dust residue. Your pipes are now ready for the lining process, which involves either lining your pipes with epoxy or restoring them with an epoxy coated pipe liner. Once the CIPP pipe liner or epoxy coating has cured, we reassemble your plumbing system and install all the removed values and fittings. We perform a pressure test to ensure there are no remaining leaks, then we test your water quality, the rate of flow and the volume of water flowing through your pipes to ensure everything is working correctly. If all the tests come back good, you and your residents can begin enjoying your newly restored plumbing pipes without the hassle of waiting for additional building and grounds components to be fixed, like drywall, finishing and landscaping. 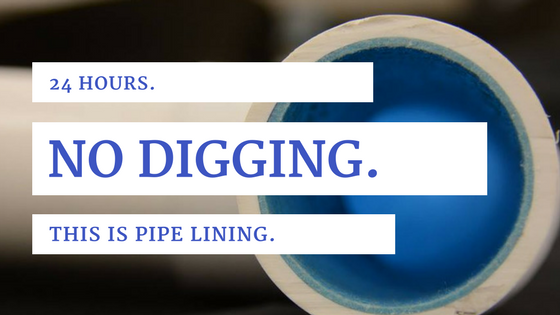 To learn more about our CIPP pipe lining process and to schedule a building pipe assessment, call us today at 815-790-9000.